Home > Events > You Can Now Buy Yankee Distillers Products In Stores! You Can Now Buy Yankee Distillers Products In Stores! You can now purchase the locally sourced spirits of Yankee Distillers! Exit 9 Wine and Liquor Warehouse in Halfmoon hosted the retail-sales launch recently. Yankee Distillers is a New York state farm distillery and is located directly across from the Schmaltz Brewery at 5 Fairchild Square. Most of its raw materials are sourced from farms in the state. The distillery itself is nearly 9,000 square-feet, with the owners claiming that it is the largest distilling facility in the Capital Region. It holds a distilling room, a tasting room and retail outlet. 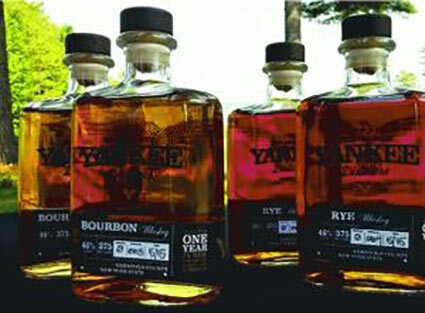 Have you tried any of the Yankee Distillers’ creations?